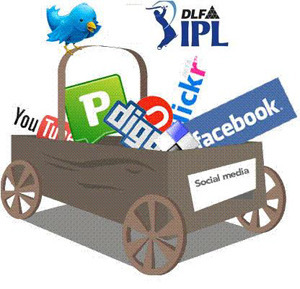 This IPL Season, Social Media wins ‘Man of the Series’! The sixth edition of the cash-rich Indian Premier League has more than 100 corporate advertisers generating Rs 1,500 crore through direct advertising or innovative association with the franchises. Most big advertisers are leveraging social media with incremental budgets to connect with their audiences. Twitter is an integral part of the Pepsi IPL 2013, with a variety of applications and features which promise to make the tournament an unprecedented interactive experience, for the fans. Google+ is doing special Hangout sessions that will generate post match conversations. Youtube has made the experience of watching IPL more social with the ability to chat live and has integrated Google+. From title and presenting sponsor PepsiCo to others like telecom services provider Vodafone, to personal care maker Garnier, and multi-business Muthoot Group, all have a well laid out strategy to engage with their audiences through IPL. As title sponsor of the tournament and co-presenting sponsor on broadcaster SET Max, Pepsi has launched a Tweet20 tournament on Twitter – a Twitter API-based application, which allows people to play cricket on Twitter. For Vodafone, the ZooZoos return this year in a new avatar and the new campaign has hit social media a day before it hit television screens. The Muthoot Group is leveraging association with Delhi Daredevils by launching CSR initiatives this IPL season. One of their campaigns is a platform through which slum children of Delhi get a chance to become ball boys and ball girls for Delhi’s home matches. Twitter Magic Mirror: For the first time, this application will be used worldwide throughout a professional sports tournament season. The Mirror will, in select celebratory settings, allow Cricketers and Celebrities to tweet out candid pictures with one click through the @IPL account. The Mirror will travel the country, and give fans an authentic view of the IPL. The phrase ‘money talks honey!’ is appropriate for cricket’s biggest festival. Everyone is running to get a piece of the pie. 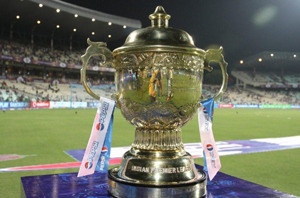 Whether we agree or not, IPL still remains the most lucrative option as far as sports marketing in India is concerned. LinkedIn launched Mentions yesterday, a new way for members to engage in professional conversations by mentioning connections and companies on the LinkedIn Homepage. If you don’t see Mentions in your LinkedIn experience yet, check out the Slideshare below for a sneak preview. If you enjoyed reading this, don’t forget to share!